The 333,997 sockeye counted at Bonneville Dam is the 5th highest through July 14th since at least 1938 (updated count was 336,398 through Sunday, July 17). The record are the 580,500 fish counted through July 14, 2014. It appears a large portion of this year’s run is headed to the Okanogan River. 199,689 of the 269,714 fish counted at Rock Island Dam (below the Wenatchee River) have passed Rocky Reach Dam (above the Wenatchee River). Though still early, at Tumwater Dam on the Wenatchee River 354 fish had been counted through July 5. In comparison, 4,522 fish had been counted at Tumwater Dam through July 5, 2015. 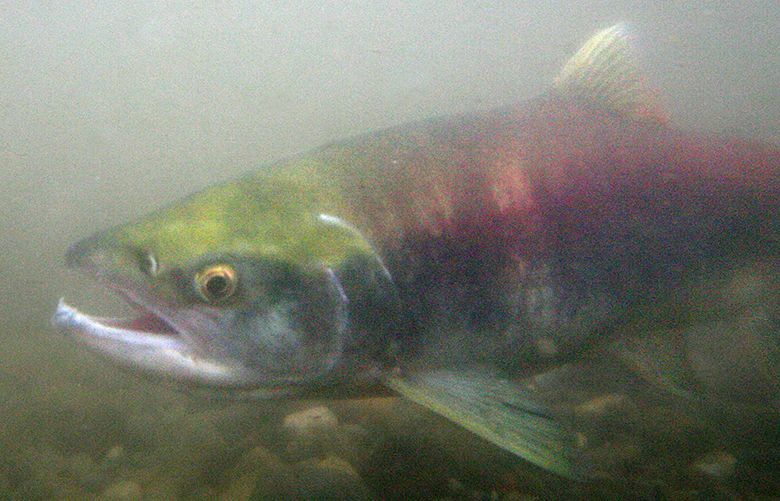 The final count at Tumwater Dam was 51,600 fish in 2015. The 2016 preseason expectations to the mouth of the Columbia were 57,800 Wenatchee and 41,700 Okanogan stock. Record count to date since at least 1983 for sockeye at Prosser Dam on the Yakima River. Through July 13, a total of 2,328 sockeye had been counted at Prosser Dam. The previous record was 407 fish counted through July 13, 2014. Last year just 2 fish had been counted by this time.